When travelers hear the word “escorted tour” they almost automatically think of Europe. They love the stress free planning, the guidance of an expert travel director every step of the way and the unique itineraries that combines all the iconic, must see places with the behind the scenes destinations. Today, more and more travelers are joining escorted tours in the USA, for the same reasons they love guided vacations in Europe. Studies show that domestic vacations make up for 85% of the total vacations Americans take. Here are the top reasons travelers love escorted tours in the USA. Tour operators are known for getting exclusive access to places that the general public would have trouble gaining themselves. 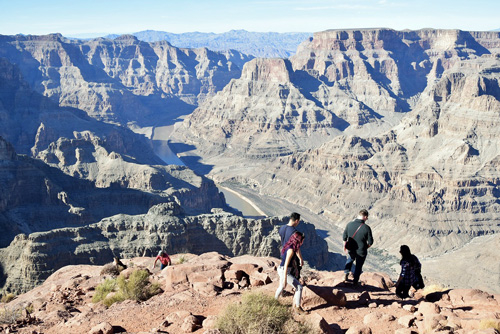 Because of their buying power, guided vacation travelers are able to stay the night on National Park grounds, visit famous museums when they aren’t open to the public and cut to the front of the line at prominent landmarks. Travelers love these perks because they are able to fit in more must see destinations during the vacations. Escorted tours are usually centered around bucket list cities like, New York, Las Vegas or New Orleans, but they also visit hidden attractions and activities even some locals couldn’t find without a travel director! 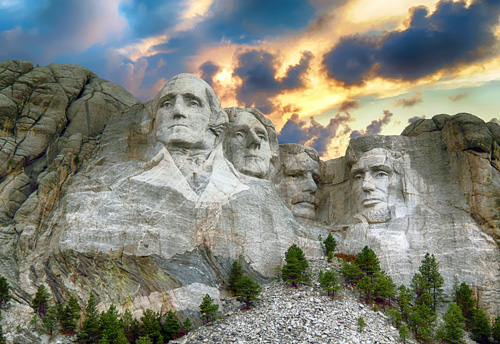 For example, in South Dakota, Mount Rushmore is on everyone’s bucket list. 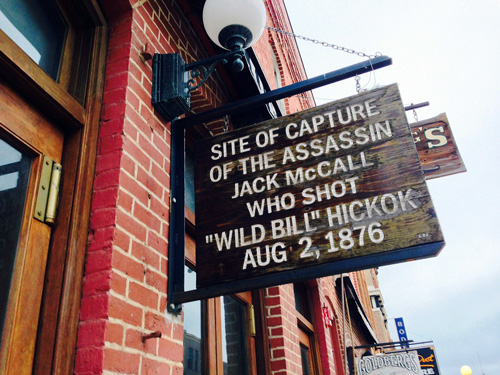 But on a Trafalgar escorted tour, after you visit Mount Rushmore, you will tour Deadwood, SD, a gold-mining town with a colorful history, where you will hear stories of the legendary Wild Bill Hickok and Calamity Jane. Once travelers get to see all of the monuments and museums on their bucket list, getting a taste of the local culture is next on the list. There is no better way to get an authentic connection to a destination than through the local food and customs. 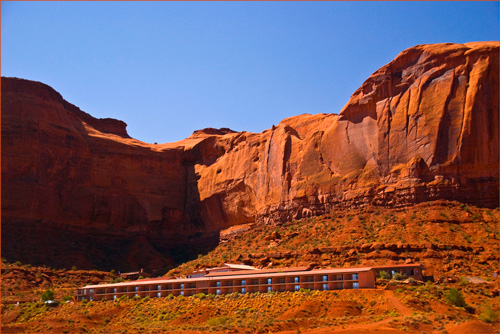 For example, when Globus travelers visit Monument Valley, they will be treated to a Navajo cookout while staying at the historic Goulding’s Lodge where they will learn about the local Dineh (people) who call this land home. No matter where you travel, escorted tours allow travelers to make connections and enjoy experiences you simply cannot recreate on your own. Related: View All Discounted USA Tours! Gone are the days of doing hours and hours of research, planning and piecing together a vacation with hopes that everything falls in to place and that there are no hiccups along the way. With guided vacations, all the planning is completed by a team of travel experts who methodically craft each itinerary so travelers get the most out of their vacation time. When on a guided vacation, you will be surrounded by other people who love to travel and who are looking forward to exploring the same destination as you. This common thread is the perfect foundation for lasting friendships. Many travelers on the same guided tours stay in touch and swap travel memories and new destinations they are exploring. Tour companies have an unique buying power that allows them to offer top drawer hotels on their tours that might be out of individual traveler’s price range. Therefore, travelers can stay at accommodations that they might not have been able to afford if traveling separately. Guided tours also include tons of activities and meals so travelers aren’t being nickel and dimed the whole trip. Knowing how much your vacation is going to cost is a great way to manage your travel money and budget. Related: View Deals On All Travel Here! Guided vacations are a seamless way to travel because everything is planned by experts ahead of time and there is a travel director who is in charge of all the logistics along the way. There is no need to worry about driving conditions, where to eat or the best times to visit popular attractions. The itineraries also make sure to make the most of your travel time and budget by perfectly scheduling activities and meals in the way where travelers are comfortable but also entertained. 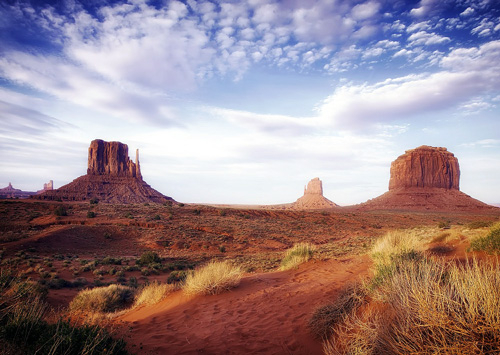 With so many tour companies offering guided vacations throughout the USA, it’s easy to find exactly what destination, level of service, and dates you are looking for. 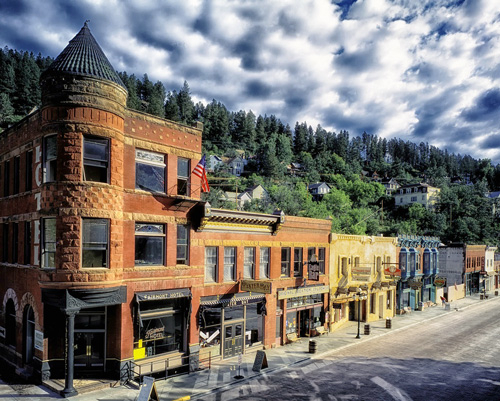 Make the most out of your vacation by taking escorted tours in the USA. Your article is extremely accurate about the benefits of escorted tours. I have done two with Globus. The downfall of escorted tours comes for solo travelers. You pay a premium price over a double occupancy. Yes you get a private hotel room. You do not get a private seat on the coach. I really think that is unfair since you are paying extra for being a single. The other downside of escorted large group (40-45 people) tours is constantly being with that many people. One one trip I was lucky to have very considerate travel companions. Everyone was respectful of arrival and departure times. On another trip we had two couples that made everyone else wait, ALL OF THE Time.. I wish the tour director could have kicked them off the trip. I know this is a general article and has to be positive. A suggestion would be to explain some tour operators offer small group tours. Thanks for your comments. We agree that solo travelers should also get special deals, so we put together a list of solo traveler savings for all types of travel. All travelers have different preferences for group size. 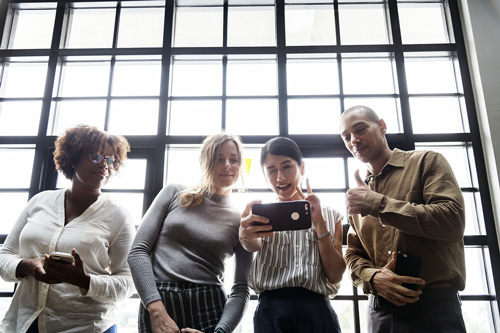 Some see larger groups as more people to meet and connect with, while other people prefer being with a more tight knit group. Travelers who prefer smaller group sizes usually find that traveling to ‘off the beaten path’ destinations (Ex. Africa) have smaller group sizes. That being said, we agree that everyone on the tour, no matter what the size, should always be on time!